Dato Ir. 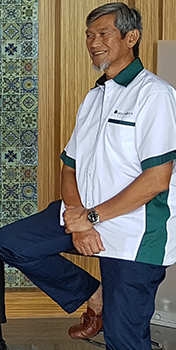 Dr Dennis Ganendra, Founder of the Timeless Green Group, has extensive corporate experience having served on Boards and Councils since 1994. He is an Executive Director of Minconsult, one of SE Asia's largest multi-disciplinary engineering consultancies, which has undertaken projects in 25 countries and 5 continents. In the power sector alone, Minconsult has completed over 30,000 MW of power projects ranging from hydro to combined cycle, open cycle and coal projects and the company has spearheaded key studies for the Malaysian Government including the management and engineering audits for the national and state power utilities. Dr. Ganendra is also the Chairman of Lidar Services International Inc., Canada, which develops and operates state-of-the-art Lidar and remote sensing equipement. 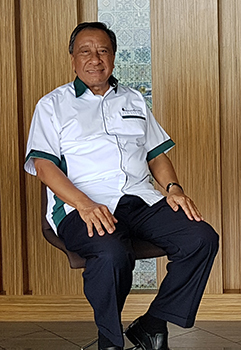 He is a Fellow of the Institution of Civil Engineers, UK, a Fellow of the Institution of Engineers, Malaysia and a Fellow of the Institution of Highways and Transportation. 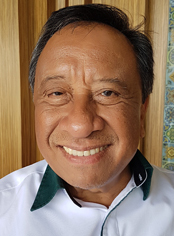 He was Honorary Secretary General of The Road Engineering Association of Asia and Australasia (1998 – 2006) and is currently a Council Member. He also served as a Director and Audit Committee Member of the Construction Industry Development Board, Malaysia (CIDB) and as a Trustee of the Construction Research Institute, Malaysia (CREAM) (2000 – 2008). He is a graduate of Cambridge University and was awarded both a Cambridge University open scholarship and a Queen’s Jubilee scholarship from the Institute of Civil Engineers (U.K.). He also has a Master of Science (with Distinction) and Ph.D. from Imperial College. He has published/presented numerous papers in international journals and conferences on a variety of topics. Ravi Navaratnam is the Executive Vice President of Minconsult Sdn Bhd., an Engineering and project advisory Firm. In this capacity, he supervises general management, participates in business strategy and development of overall operations, in addition to specialization in project advisory assignments. He has had over 25 years of work experience in the fields of investment banking, corporate and project finance as well as in general management, including with Kleinwort Benson Ltd, Petronas Bhd., KYM Holdings Bhd. and Malaysian Helicopter Services Bhd. 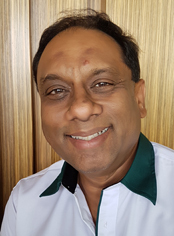 Mr. Navaratnam has a B.Ec (Hons) (Economics and Accountancy) degree from Monash University, Australia and a LLB (Hons) degree from the University of London. He is a Fellow of CPA Australia and a Barrister of the Bar of UK and Wales. Datuk Ir. Hamzah started his career as a Civil Engineer in the Public Works Department (“JKR”) in 1975 where he served for 23 years. He was appointed as Chief Executive Officer of the Construction Industry Development Board (“CIDB”), Malaysia in 2003 and then served as the Chairman of CIDB until 2014. His directorships in public companies include IJM Corporation Berhad, LysaghtGalvanised Steel Berhad, Kumpulan Europlus Berhad, Chairman, Construction Research Institute of Malaysia (CREAM) and School of Professional and Continuing Education, University of Technology Malaysia (UTMSpace). Datuk Ir. Hamzah graduated with a Bachelor of Science (Honours) degree in Civil Engineering from Glasgow University, UK, and obtained his Master of Science from Loughborough University, UK. 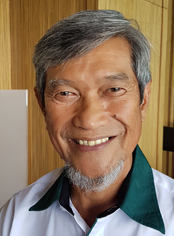 He is a Professional Engineer of the Board of Engineers Malaysia and a Fellow of: Chartered Institute of Building, Royal Institute of Chartered Surveyors, Institution of Engineers Malaysia, Institute of Value Engineering Malaysia, ASEAN Federation of Engineering Organizations and Honorary Fellow of the Project Management Institution Malaysia. Dato' Seri Ir. Hj. 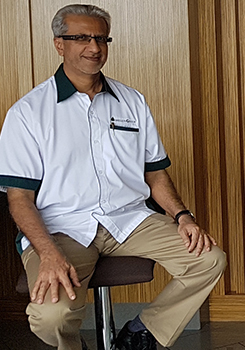 Mohd Noor Bin Yaacob is currently the President of the Road Engineering Association of Malaysia and was previously the Director-General of the Public Works Department, a position he held until 31 March 2014. He had joined the civil service in 1977 in the Public Works Department and has served in various capacities. He is also the Former President of the Board of Engineers of Malaysia. Dato' Seri Ir. Hj. Mohd Noor was appointed as Director of S P Setia Berhad on 15 October 2014; is a director of Prasarana Malaysia Berhad; and Chairman of Jambatan Kedua Sendirian Berhad. He graduated with a Bachelor of Engineering from Universiti Teknologi, Malaysia. Dato’ Ir. 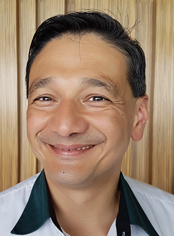 Dr Ali Askar Sher Mohamad graduated with a BSc (Electrical Engineering) from Purdue University, West Lafayette, and a Masters in Power Engineering from UNSW, Sydney. He completed his PhD at Uniten on the technical impact of connecting large scale solar PV plants to the utility network. He has served the Malaysian power utility TNB in various engineering and management positions. He taught at Uniten from 2009 to 2011, teaching renewable energy and power systems subjects, while acting as a consultant to carry out Power System Studies for Grid connection and Feasibility Studies for various renewable energy plants. During this time, he was also appointed as the Technical Advisor to the Ministry of Energy, Green Technology and Water on RE grid connection issues and related legislation. In November 2011, he was appointed the first Chief Operating Officer of the newly set up Sustainable Energy Development Authority (SEDA) Malaysia. Dato’ Ir. 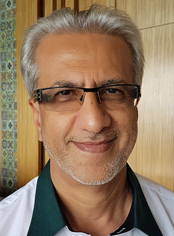 Dr Ali is a Council Member of the Institution of Engineers Malaysia (IEM), member of the Publication committee of the Board of Engineers Malaysia (BEM) and panel member of the Engineering Accreditation Council (EAC). On 31stMarch 2016 he ended his service as COO of SEDA and is presently active in the renewable energy and power sectors in an advisory capacity.